For a week now, the State of Massachusetts welcomed its first land based casino and the result is more than encouraging. Effectively, the Plainridge Park Casino registered a cash flow of 6.1 million dollars for its first week of activity. By approving the Plainville casino project, the civil servant of the State had as objective to recuperate the share of revenue that the residents of Massachusetts spend in neighboring States casinos as Foxwoods, in Connecticut and Twin River in Rhode Island. 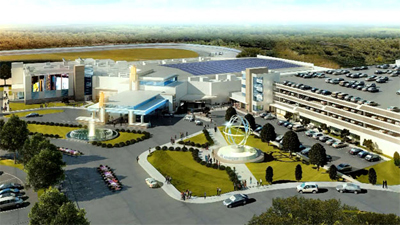 Plainridge Park Casino kept its promise despite some rivalry with already existing casinos. This 6.1 million dollars of turnover during its first week is just unbelievable and it was possible thanks to its status as first casino of the State according to Clyde W. Barrow, professor at the University of Texas who studied the casino market in New England since a few years. Professor Barrow estimate however that the casino will realize about $ 200 to $ 250 million of turnover during its first year of activity. This assessment confirms the gross gaming revenue anticipated by the gaming commission of the State for Plainridge Park Casino. From 2018, Plainridge will have serious competitor with the opening of Wynn Resorts at Everett and also the arrival of MGM Resorts Springfield in the market. If the general manager of the gambling facility, Lance George planned initially to win about $ 500 per slot, per day, during this first week, each slot machine generated about $586 per day. Know however that Plainridge has only 1,500 slot machines against 5,250 for Foxwoods and 4,750 machines for Twin River.